Spring is finally here! Each day I take a small walk on our homestead to see what new herby friends are popping their heads up. Today I found some baby yarrow leaves barely dotting the ground – but they’re there, that’s all that matters, right? I’ve also been able to munch on a few oxeye daisy leaves (if you haven’t nibbled on this delicious trailside snack I encourage you to expand your palette as soon as possible) and viola which seems to have survived under the blanket of snow. I’m really looking forward to the snow completely melting from our forest so I can get out to the crop of cleavers hidden in a damp, partly sunny area. The ebbs and flows of the seasons present a variety of opportunities. I think of the winter as a time of rest, internal reflection, curling up, studying, and longer sleeps. As spring enters it calls me outside, awakening my desire for external connection, and reinvigoration. 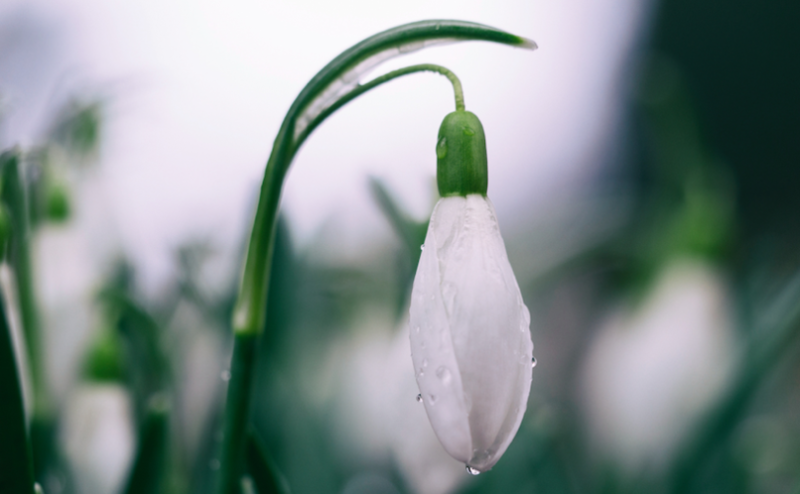 I get the spring cleaning bug, open our windows to let the fresh, clean air inside to remove the stagnant air that has accumulated over the long winter. I find myself drawn outside wanting to reconnect with the plants and even to our chickens and sheep. When the sun dominates the day I have a hard time forcing myself to stay inside and get work done. I am also anxiously anticipating the day I can once again spend some time wildcrafting. The earliest opportunities furnish me with plants that provide amazing detoxifying actions and also are highly nutritive. Time to do an internal spring cleaning. My favorite early spring herbs are dandelion, nettles, and chickweed. All three are fairly common plants that are easy to identify with incredible nutritive properties. You will find this in shady areas, if you have a lawn you likely have this growing. It thrives in cooler weather and will die off in the heat of the summer. flowers look like tiny white stars, with five deeply divided petals. Chickweed is both nutritious and stimulates the lymphatic system getting things moving. You can eat this herb like you would any other green: in salad, on sandwiches or just by itself as a snack. There’s no better way to celebrate the advent of spring than a Dandelion Feast. This well loved plant has sadly been marginalized in North America due to our worship of the well-manicured lawn. 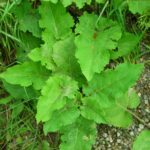 Now that we are in the growing season we will begin to see products available targeted at annihilating this extremely useful and nutritious plant. In France dandelion is still grown and loved for its bitter and tonic offerings. One cup chopped raw dandelion greens has 25 calories. Dandelion is a perennial plant with a thick, long taproot. It is a very tenacious plant, and once established, it can regrow from the smallest root piece left behind (yay for us). Brought by European settlers as food and medicine, it is now naturalized throughout North America. The leaves are long and jagged and form a rosette that grows close to the ground. A single, purplish flower stalk grows straight up from the center of the plant. It is hollow and bears a bright yellow flower. Dandelions bloom most of the summer, and when the flowers are mature, they turn into fuzzy puffballs that carry seeds freely in the wind. Try it sautéed, in soups, on sandwiches, in pestos, and in smoothies. For more dandelion recipes join my membership it was the herb of the month in March. Sometimes it’s tough to get enough minerals through our diet alone. Our soils have become sadly depleted due to our farming practices, so even though we buy spinach, kale, and romaine lettuce we may not be getting everything we think we are. Nettles to the rescue! Packed to the brim with incredible minerals AND working as a potassium-rich diuretic to both cleanse and build at the same time. Woot! 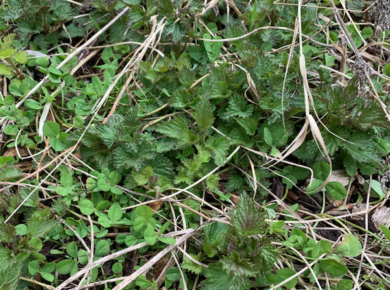 Nettle loves to grow in shady, moist, disturbed areas and usually grows in stands although we found a lone stinging nettle plant growing down by our creek. That one had the most powerful sting I’ve ever experienced from nettles. Maybe it knew it had to survive! 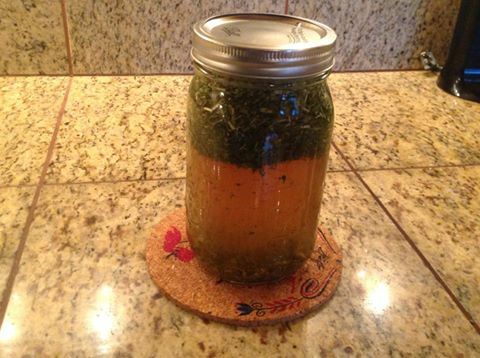 I use nettles to make nourishing herbal infusions, nettle chips, smoothies, and nettle soup. Obviously you need to wear gloves when harvesting but once it is dried, cooked, or blended the sting goes away. 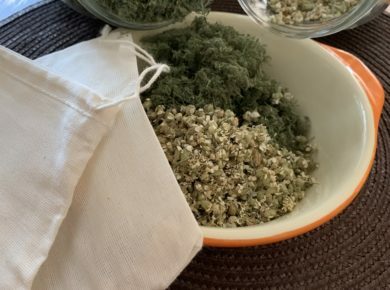 Nettles are the herb of the month for April, jump over and join my membership for more medicinal and culinary recipes. Get out and spend some time appreciating your “weeds” and build your emotional and physical health at the same time. 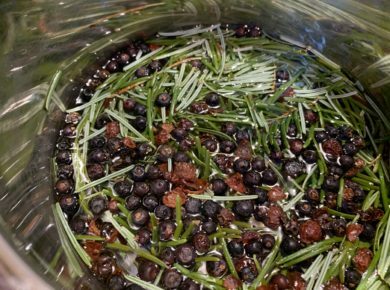 Huckleberry Mountain Botanicals. Holistic Nutrition Herbs .I’ve been enjoying drinking my daily Nourishing Herbal Infusion (NHI). 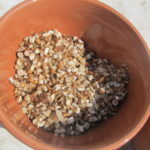 I usually make it using Stinging Nettle (and add a little marshmallow root to decrease the drying effect it has on me). I am not a medical doctor and do not diagnose or treat disease, I provide educational content only. If you purchase through links I provide, you pay the same price but, as an affiliate, I get a small payment in return. Thank you for supporting me! ©2019 Monica Mitzel Blossom Coach by Blossom Themes. Powered by WordPress.